So you were lucky enough to fit one lounger or butterfly chair in your dorm room? Although that's great if you only have one friend, you'll ultimately want to create more dorm seating! Beyond the obvious, which is investing in a mini-futon or dorm sofa, there is an alternative besides sitting on the floor...pillows! 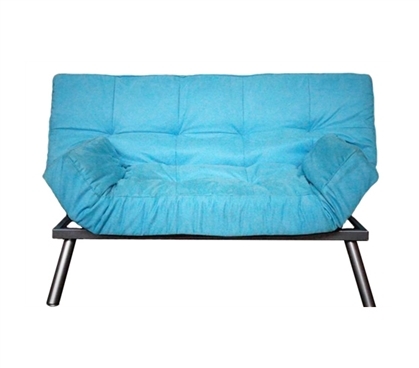 Turn your Twin XL bed from the place you sleep at night, to a dorm room sofa by day. 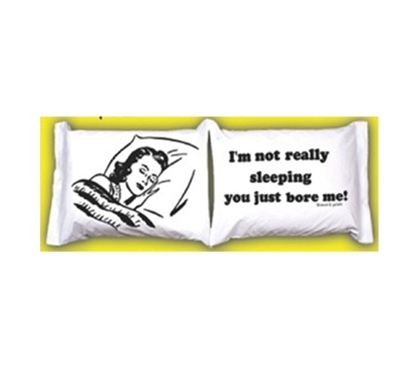 It's simple, just take any two pillows you can get your hands on, add DormCo's awesome designed pillow cases and you've turned your bed into a dorm seating spot! In dorm life you just have to be creative when it comes to your space, and by turning your bed into a sofa, it doesn't get more creative than that. Besides being creative you also have to be practical. This set of 2 pillow cases look great, and when combined with pillows, they can easily give you a comfortable spot for under $50. The nice thing about creating a support cushion with pillows as a sofa is that you can also use them while you sleep. Use them as extra head pillows or keep them up against the wall so you aren't tasting cinder block while you sleep. Or, add a body pillow for college to your dorm supplies. In addition to giving you something to snuggle every night, college body pillows make great dorm seating supplies too. You can place one behind your back against a wall to provide some support, or you can sit on one with friends to make a long, comfy dorm seat. 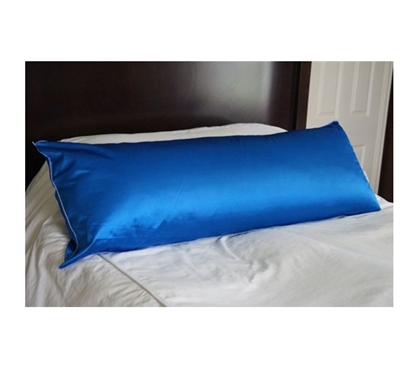 Grab a body pillow and body pillow cover if you plan on placing it on the floor, as the cover allows for easy washing. Fun dorm decor and practical seating ... it doesn't get much better than that! Why MINI? Because mini FITS! Dorms can get really small, especially when sharing the spot with a roommate. The tough question on "going small" always comes with dorm furniture. On one hand you want college seating that can fit you and your friends, and on the other hand you don't want a sofa the size of your room. Our suggestion is to get the futon, but do it mini. By getting a futon you still get the versatility, yet by making it small you can fit it in your dorm without worry that it will engulf your entire room.